Enjoy a complimentary drink from our drinks menu with every manicure & pedicure. Hygiene is important to us! Each manicure & pedicure client receives their own nail file and buffer. All metal nail tools go through a 3 step sterilising process and then are finally placed into sterile wallets before every nail treatment. Shellac is a hybrid of gel and nail polish, that dries instantly and is designed to last for up to two weeks – chip free, with a mirror-like shine. SHELLAC MANICURE £35 – includes nail shaping and application of polish, cuticle work, hand scrub and hand massage. For added indulgence opt for our additional heated hand treatment which involves the application of a dermal mask followed by heated mitts (please state if you wish to have this complimentary treatment upon booking). SHELLAC PEDICURE £40 – includes nail shaping and application of polish, cuticle work, foot scrub and foot massage. For added indulgence opt for our additional heated foot treatment which involves the application of a dermal mask followed by heated booties (please state if you wish to have this complimentary treatment upon booking). SHELLAC REMOVAL £10 – This is only charged if you have not had a Shellac manicure/pedicure with us. 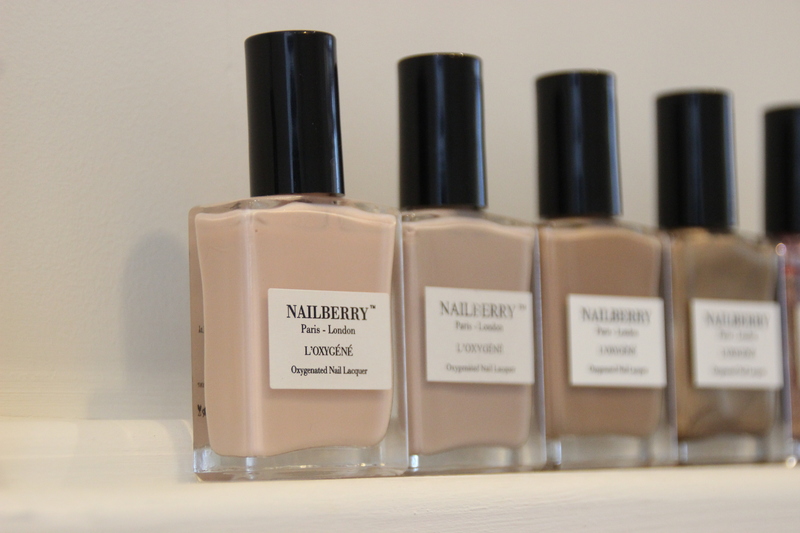 We have a selection of shades from the L’Oxygéné range which is Nailberry’s multi-award winning, luxury nail polish range made to deliver a healthier manicure; all shades allow air and water vapour through! Every Long Wear & High Shine colour rich shade has been formulated to be free from chemicals such as Formaldehyde as well as Parabens. L’Oxygéné range is also Vegan, certified Halal, Gluten and Cruelty free. MANICURE £30 – includes nail shaping and application of polish, cuticle work, hand scrub and hand massage. For added indulgence opt for our additional heated hand treatment which involves the application of a dermal mask followed by heated mitts (please state if you wish to have this complimentary treatment upon booking). MALE MANICURE £20 – includes nail shaping, cuticle work, hand scrub and hand massage. For added indulgence opt for our additional heated hand treatment which involves the application of a dermal mask followed by heated mitts (please state if you wish to have this complimentary treatment upon booking). PEDICURE £35 – includes nail shaping and application of polish, cuticle work, foot scrub and foot massage. For added indulgence opt for our additional heated foot treatment which involves the application of a dermal mask followed by heated booties (please state if you wish to have this complimentary treatment upon booking). MALE PEDICURE £25 – includes nail shaping and application of polish, cuticle work, foot scrub and foot massage. For added indulgence opt for our additional heated foot treatment which involves the application of a dermal mask followed by heated booties (please state if you wish to have this complimentary treatment upon booking). 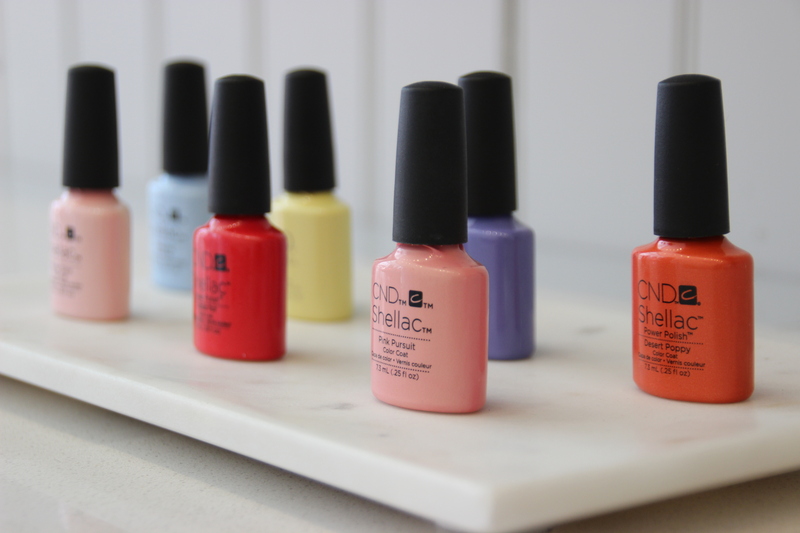 To book in for a manicure or pedicure simply book online or call us on 0207 821 1020. Stop signs of damage before they reach the skin’s surface at our FREE* Environ event!